Much has been made of the recent sectarian unrest in western Burma and its ramifications for the country's fragile reform process. It's important to note that the violence and subsequent outpouring of anti-Rohingya anger is not a niche issue confined to a specific locale – instead it should be viewed as something more pervasive among many Burman and Arakanese, both inside Burma and abroad, that threatens to contaminate the wider discourse on how to move the country forward. Among the key catalysts of anti-Rohingya sentiment are, surprisingly, prominent members of Burma's pro-democracy movement. The hypocrisy of their attempts to vilify an entire ethnic group – labelling them variously as "terrorists", "illegal immigrants", "not worthy of citizenship", and so on – appears lost on them. Tin Maung Htoo, director of Canadian Friends of Burma (CFOB), was forced by the organisation's Board to retract a statement in early June in which he said the Rohingya were the remnants of a Mujahideen movement in western Burma that had tried to gain citizenship after their "Jihad" failed (like all the country's ethnic minorities, there is no fixed date for their arrival, though one study done of dialects in Arakan State back in 1799 references "Rooinga"). That, and other inflammatory comments posted on the internet, are merely the tip of the iceberg for many of Burma's "democrats", whose rhetoric implicitly encourages the ongoing persecution of the Rohingya. Burma Democratic Concern (BDC), based in the UK, states on its website that a special battalion of Burmese troops should be deployed to northern Arakan state "to protect the lives of the minority Buddhist Burmese Araknese who are living in the middle of barbaric so-called Rohingya Bengali Muslims", whom it claims have massacred "tens of thousands of Burmese Buddhist Arakanese in the past". The founders of BDC and CFOB were themselves forced into exile after the Burmese military was given free rein to put down the 1988 student uprising in the name of "protecting the nation". The fact that these same people have also felt most painfully the scourge of state-sanctioned abuse and statelessness likewise gets lost in the fury. Calls for the Rohingya to be expelled from Burma on the grounds that they are not citizens have been made by the very same people who were allowed to remain in their countries of asylum for years before citizenship was finally awarded – they assert however that this gesture should not be extended to the Rohingya. Ko Ko Gyi, a former leader of Burma's prominent 88 Generation Students Group, pictured in Yangon earlier this month. Pic: AP. Tin Maung Htoo has lauded prominent activist Ko Ko Gyi's proclamation that the Rohingya are not an ethnic nationality of Burma; but nor is he one of Canada. He and others seem to have a hard time explaining the rationale behind their comments. What the "anti-Rohingya but pro-democracy lobby" also seem to misunderstand is that they have become effective lackeys of a regime that they have dedicated their lives to reforming or doing away with. A key policy of successive Burmese juntas is the divide and rule of ethnic groups, which has allowed the government to foment unrest, justify heavy-handed control and which has historically provided the excuse for why the country is not ready for democracy. It is of great irony and great sadness that the country's civilians, both at home and abroad, have finally lent their hand to this, only months into the transition process and after decades of resisting state propaganda. As far afield as London, the front door of Tun Khin, who heads the Burma Rohingya Organisation UK, has been kicked in, while anti-Rohingya protests have been targeted against Burma Campaign UK and the BBC, often by veterans of Burma's pro-democracy movement who, exiled from their homeland, have gained citizenship in the UK. Aung San Suu Kyi's reaction to the unrest was to call for rule of law to be the decider of the status of Rohingya – a deliberately non-committal and vague standpoint. As Sai Latt notes in Asia Sentinel, "The Rohingya case provides a very clear example why the law itself can be a source of problems. Statelessness, ill treatment, and discrimination against the Rohingyas are not simply the results of a lack of the rule of law. Quite contrary, they are legally produced." 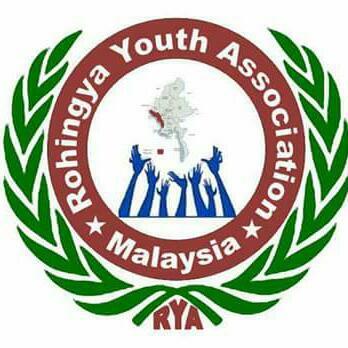 The hypocrisy underpinning the Rohingya crisis calls into question the notion of equal rights, and indeed democracy, espoused by Burma's pro-democracy movement; indeed that the gestures accorded to them should not be extended to those of different origin, religion, skin colour, or whatever it is that makes the Rohingya such vile creatures in the eyes of those engaged in their persecution. The inability of many to see the double standards being deployed is perhaps a sign that the mindset of the regime, a master of psychological warfare, lurks within those who have spent years rallying against it, and becomes yet another factor in the sobering realisation that Burma's transition will be a long and painful process.